Jye Pickin has put together two remarkable rounds at the Avondale Amateur, the latter of which helped him build a four-shot lead at the halfway point of the tournament. Pickin’s consistency in posting back-to-back rounds of 5-under 66 at Avondale Golf Club in Pymble, Australia, is so far unmatched. Pickin, an Australian who made it to match play at the Australian Amateur each of the past two years, has sprinkled four bogeys over two days, making up for it with plenty of birdies. 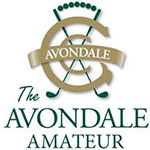 Avondale, of course, is his home club, which helps considerably. The closest pursuer so far is Andrew Lautee, a compatriot who has logged rounds of 67-69 for his 6-under total. Though he didn’t have a bogey in the opening round, the Aussie made two of those on Wednesday. Lautee won the Victorian Amateur at the end of 2018 and was T-4 at the Master of the Amateurs earlier this month. Blake Windred, the highest-ranked Australian in the field according to the World Amateur Golf Ranking, is part of a three-man tie for third at 5 under. Windred gained ground with his second-round 67, which included an eagle at the par-4 17th hole. Nathan Barbieri, runner-up at both the New South Wales Amateur and the Australian Amateur over the past two weeks is, part of a three-way tie for sixth. Another top Australia, Blake Collyer, is at 3 under and tied for ninth. 72-holes of Stroke Play with 18-holes being played each day. There is a 36-hole cut to the low 60 for the final round.